The creative industries are the subject of growing attention among policy-makers, academics, activists, artists and development specialists worldwide. This engaging book provides a global overview of developments in the creative industries, and analyses how these developments relate to wider debates about globalization, cities, culture and the global creative economy. Flew considers creative industries from six angles: industries; production; consumption; markets; places; and policies. Designed for the non-specialist, the text includes insightful and wide-ranging case studies on topics such as: fashion; design thinking; global culture; creative occupations; monopoly and competition; Shanghai and Seoul as creative cities; popular music and urban cultural policy; and the rise of “Nollywood”. Global Creative Industries will be of great interest to students and scholars of media and communications, cultural studies, economics, geography, sociology, design, public policy, and the arts. It will also be of value to those working in the creative industries, and involved in their development. Terry Flew is a professor of media and communication in the creative industries faculty at the Queensland University of Technology. "Flew's sober and penetrating analysis of the increasingly global character of the creative industries sheds a bright light on a field too often characterized more by heat. Both scholarly and accessible, it should be of great use to academics, policy experts, and media professionals alike." 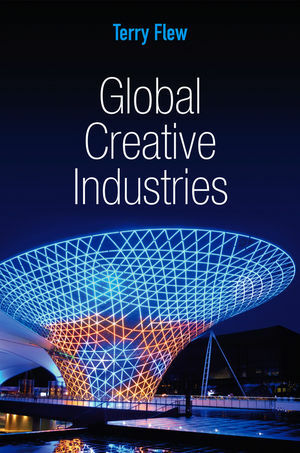 "This volume provides an admirable and far-ranging study, which provides real insight into what is happening to creative industries around the world from a variety of perspectives including consumption, policy and markets. This is one of those rare books which academics, students and media professionals will find useful and illuminating." "Global Creative Industries provides a valuable extension beyond previous work through its emphasis on development outside of the metropolitan centres. The book takes a critical stance and makes an important contribution to the field by using various case studies as a way of illustrating the complexities of creative industries in practice."